What is it to be Worldview Aware? To be Worldview Aware is to feel, experience or notice that worldview(s) exist, individually, organizationally, in community and across stakeholder groups. It is knowing and understanding more about what is happening in the world, locally, regionally and globally, by being or becoming aware of worldviews – first your own and then, with curiosity and compassion, someone else’s. 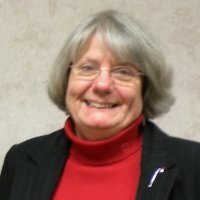 With some of our most entrenched issues and challenges in today’s world and the growing visibility of some of these issues growing (racism, discrimination, sexism, police violence as a few examples), Worldview Intelligence™ and becoming Worldview Aware may help us discover together pathways that do not currently exist. Letting go of what we know to discover what wants and needs to happen. 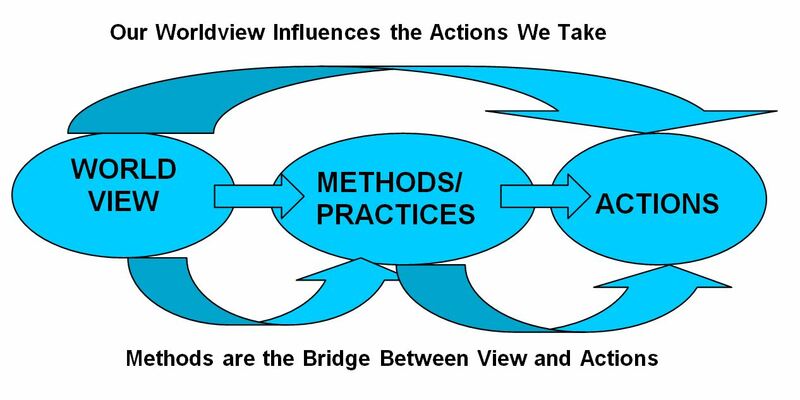 It might have been in 2005, when I took part in my first Art of Hosting (AoH) Conversations that Matter training on Bowen Island, that I first heard the term worldview, although I can’t be sure. Then and later, if it was talked about, it came in the context of a mechanistic worldview and a living systems worldview, comparing several points of each and recognizing that AoH operates from a living systems worldview. In my experience of AoH trainings, that was pretty much it until, in 2011, I started co-hosting with Jerry Nagel from the Meadowlark Institute in Minnesota. Jerry was and is steeped in worldview awareness partly through working on his PhD dissertation that looks at social constructionist theory, worldview and the Art of Hosting and partly because of the deep and evolving practice he and we have been bringing around worldview in AoH trainings and beyond. Because of this, we have been developing a more comprehensive approach to worldview and worldview awareness than I had been exposed to before. Jerry and I, and friends and colleagues like Stephen Duns, Dave Ellis, Carolann Wright-Parks and others, have been adopting, exploring and adapting a worldview teach and practice in new, innovative and exciting ways. What we have been learning from participants in the worldview awareness conversations in the AoH trainings we have led, is that the worldview conversation lingers in their awareness long after the training. In the evaluations we conduct a few weeks after each AoH training we do, participants often identify the worldview exploration as the most impactful part of the training. They state that the reflective space they are invited into about worldview(s), where it comes from, what their own worldview is and curiosity about others’ worldviews helps create an understanding of how to give voice and visibility to multiple worldviews and create openings for successfully leading different, more inclusive conversations on issues and challenges that routinely show up in organizations, communities and social systems. If this can happen with a conversation over a couple of hours what more becomes possible with a deep dive into worldview awareness or worldview intelligence? This is what we are now on an inquiry to discover. It is what led to prototyping the first introductory day to the Transformative Power of Worldview Awareness in Halifax where we tested a few ideas and reaped enough ideas to inspire possibility for a long time to come. While the AoH conversations focused mostly on individual worldview, the conversation is now expanding to organizational and community worldview as well as creating the conditions for multiple worldviews to be welcomed into stakeholder dialogues and other places where the risks of engagement are perceived to be higher. 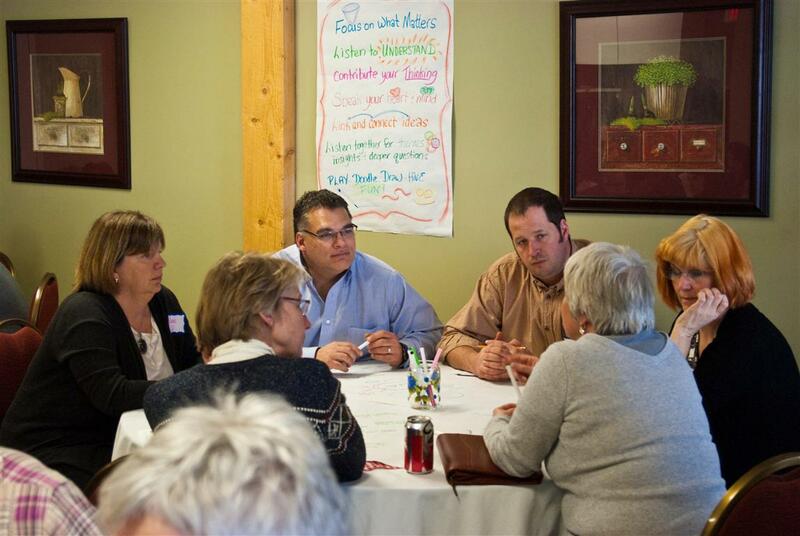 In the one day workshop in Halifax, participants came from a wide variety of places including provincial government departments like health and transportation, the school board, Nova Scotia Community College, Halifax Regional Municipality and community agencies. Quite a few had been involved in diversity and inclusion work for years – welcoming of diversity being one of the more obvious outcomes of worldview awareness – and others identified themselves as social change agents. The learning environment was rich. Going into the day, Carolann, Jerry and I had so many choices of what to include in the one day and then during the day itself we had to make more choices. We know there is ample material for exploration in a variety of offerings. To say our imagination has been sparked would be an understatement. And we are quite inspired by the reflections shared by the participants in our one day offering, a few of which are below. A snapshot of some of the participants at the first Introduction to the Transformative Power of Worldview Awareness Workshop. So… stay tuned. There is more to come. Looking at Minnesota this fall, Australia in the new year and more in Halifax too. We are exploring a comprehensive approach to worldview awareness: transforming differences into progress, seeing how growing worldview intelligence in an area that has not been explored to the same degree or depth that religious and scientific worldviews have been explored will generate social change methods and processes in situations that have challenged the best of what we know to date in engagement strategies and practices. 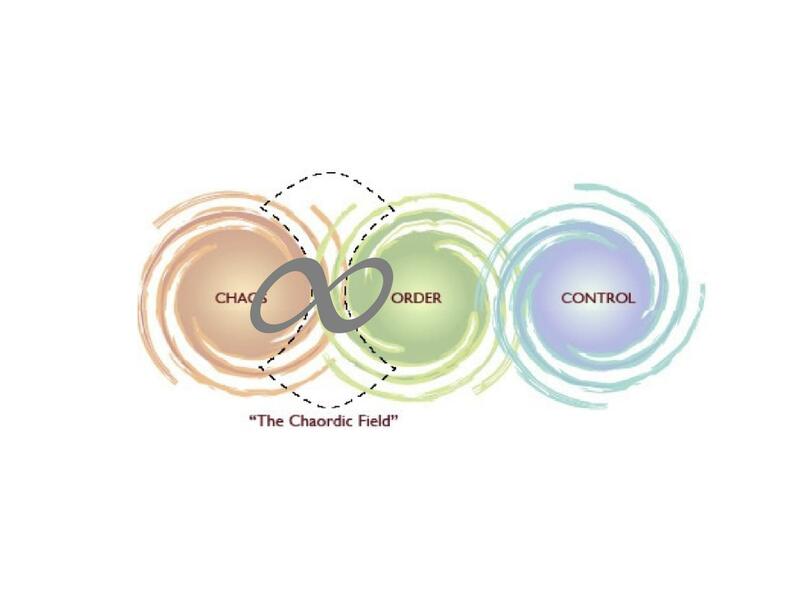 When interactively teaching the Chaordic Path and inviting people to reflect on what highly chaotic or highly controlled environments look like and how people act and react in those environments, it is common for participants to address the down side of each of these – with quite a bit of energy and zeal. Then, at some point, someone will make a comment about the benefit of being in that kind of environment. For chaos they will often say something about creativity, for control they will often say something about predictability – the upside of each of these dynamic forces. Then the key question we ask is, “What is the difference between control and order?” It always causes a pause as people reflect on what is different between these two. They speak about guidance rather than rigid rules, the opportunity for individuals to bring discretion to decision making within a framework, greater responsiveness, common understanding or collective clarity as hallmarks of the force of order. The space for an individual to bring everything they have to their role with enough clarity to know the scope of their authority, leadership and responsibility. When people don’t have clarity they ask for structure – it is a default. Clarity might mean structure and it might not – it might simply mean clarity which could be achieved through conversation or other means before creating structure which might not even bring more clarity. There is a time and place for each of these forces (chaos, order and control) depending on context and whether the focus is on process, structure or human dynamics. Trying to address human dynamics issues through structure often increases the human dynamics issues. Yet clear structure and process is essential to many manufacturing processes. When getting on a plane, you want to know that the environment is controlled with good structure, process and procedure in order to get to your destination safely. And, if your house is burning down, you don’t want the firefighters standing around making collective decisions about what to do next – you want clear direct leadership, even as the firefighters have no idea of the chaos they are facing. Knowing what state an organization, group or team is in can illuminate the leadership strategy that is most helpful to the task at hand. Sometimes the leadership being called for is to help people stay in the chaos a little longer rather than ease the pain, frustration or discomfort of being there, until clarity and the natural order begins to emerge. If things feel too habituated, stuck or stale, it might be exactly the time to introduce a bit of chaos through a well placed question, a suggestion to shake things up a bit or the introduction of a new initiative. In environments where control is pervasive, the opportunity might be to imagine how to care for the human dynamics or the relational field in a way that people can navigate with and through regulations, policies and procedures that were intended for clarity and consistency but have overreached into what we commonly call “red tape” or “jumping through the hoops”. There is an upside and a downside to each of these experiences as represented by the infinity loop in the above diagram and inspired by Polarity Mapping. If we only focus on one or the other we either have an enamoured (upside) or jaded (downside) view of that particular force that then makes us less likely to be able to exercise the dynamic leadership that grows chaordic confidence. It is the interplay or movement through each of the polarities and an understanding of what is in each of the upsides and downsides that enables us to discern wise action. I certainly have a bias – that the place we are being asked to play and lead to address complex and entrenched problems is in the chaordic path. It is the skills AoH has been designed to foster and grow and it is an invitation into new patterns and practices of leadership. Being aware of the upside and the downside of each pattern enables a more complete picture with a greater variety of choices and options available to all. One of the fundamental patterns used in Art of Hosting offerings – which for many of us includes our consulting practices or as practitioners in-house work environments – is the Chaordic Field or Chaordic Path. Like many of the patterns offered in AoH it is a helpful way to understand what is happening in the world, in our communities and organizations and within each of us individually. It gives us a lens through which to understand the increasing complexity in our environments and a pattern to work with to evoke collective learning and the real-time innovation necessary in a world and in times that are neither predictable nor stable and call for more flexibility as “more of the same” solutions are not addressing the challenges. Originating with the work of Dee Hock in the development and evolution of Visa to an international network of financial institutions offering “one” credit card, Hock identified the patterns and forces of chaos, order and control that were at play in an animated process that came to the brink of failure at many points along the way. It was clearly experienced that the greatest breakthroughs and emergent ideas came at the intersection of chaos and order, in a system that was more commonly situated in the realm of control. Just when things seem the craziest is often when new ideas spark, bridges are built, aha’s become apparent and a way out of chaos naturally appears. These patterns are evident in living systems, where a natural order exists, life cycles are vibrant and the greatest innovations happen at the edges. While not static, living systems can be stable – or be in order – for long periods of time until disruption comes in some form of chaos – destructive weather patterns or fires – destabilizing the system for a time before new order emerges. While the chaordic path is the story of our natural world – form arising out of nonlinear, complex, diverse systems – it can also be the story of how our teams, organizations and communities pay attention to human dynamics and function. In our organizational systems, there is a tendency to want to meet chaos with control, to try to fix the situation or provide a ready made solution. Many of us as leaders and managers have been educated, trained and promoted to do just this. But increasing complexity means control, particularly as it relates to the human dynamics of a situation, does not often enough lead to a resolution of the problem and may, in fact, exacerbate the situation. Solutions and ways forward are more likely to arise out of accessing the collective intelligence and collective wisdom of everyone, which can, at times, be a “messy” process until new insight and clarity emerges. When facing new challenges that cannot be met with the same way we are currently working – cannot be solved by the same level of thinking that created them – new ways of leading and operating need to be learned and utilized to shift the shape of our experience with intentionality. It is during these times of uncertainty and increased complexity, where results cannot be predicted, that wise leaders invite others to share their collective and diverse knowledge to discover new purpose and strategy and decide a way forward. It is in the phase of not knowing, before we reach new clarity, that the temptation to rush for certainty or grab for control is strongest. We are all called to walk this path with open minds and some confidence if we want to reach something wholly new. “At the edge of chaos” is where life innovates — where things are not hard wired, but are flexible enough for new connections and solutions to occur. To lead teams, organizations and communities on the chaordic path, leaders need “chaordic confidence,” to have the courage to stay in the dance of order and chaos long enough to support generative emergence that allows new, collective intelligence and wiser action to occur. This can be a beautifully dynamic process. To be in it with awareness and intentionality also means to take care of value judgments or beliefs often brought that one of these modes of being or operating – chaos, order or control – is better or more valuable than the others. There is a place, a role and a time for each. A subsequent post will explore the upside and downside of each, recognizing that a flow and dynamic movement between each of these modes of being may be the leadership discernment needed for long term success. 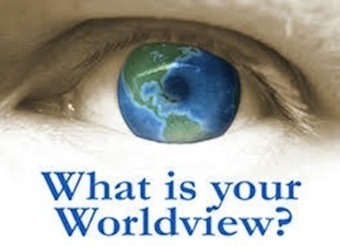 In Art of Hosting trainings, several of my colleagues and I have been offering a short teaching on worldviews and the importance for each of us to understand what our own worldview is. I often link it to elements in the Art of Hosting workbooks that I feel are an expression of an AoH worldview such as seeing the world as a complex living system and not a machine. 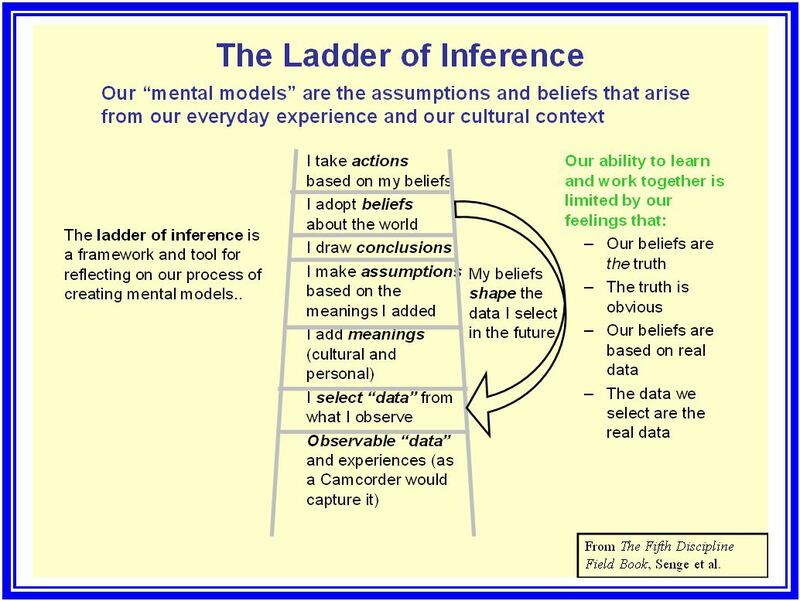 The simple teaching has two components – an explanation of worldview impact using the Ladder of Inference from systems thinking and an explanation of worldviews in The Rules of Victory: How to Transform Chaos and Conflict – Strategies from the “Art of War”. (Gimian & Boyce, 2008) The text known as the Sun Tzu and more popularly as The Art of War offers a framework for action that contains three components – View, Practice and Action. 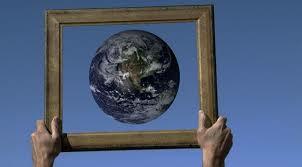 Central to view is the idea that the world is an interconnected whole. Seeing the world this way informs one’s Actions in the world and the Practices used to manifest (act) the View of interconnectedness. In the Sun Tzu this idea is referred to as ‘taking whole’. The diagrams below show how our worldviews impact the actions we take in the world and, that as we act in the world, our worldviews are impacted and potentially changed; that patterns and practices like those offered by the Art of Hosting are the tools or methods we use to bring our worldviews to action; and that as we act in the world what we learn impacts the methods we choose to manifest our worldview. If the methods we choose to manifest our worldview are not congruent with that worldview, then our actions will not ring true with people. They will see us as not acting in a way that reflects the worldviews we claim to hold. This simple explanation has proved quite thought provoking for AoH participants. If we are in a time in the Western world of co-creating a new narrative of wholeness, then as hosts it becomes important for us to not only clearly know what our worldview is, but to understand that within our own contexts and within other contexts there could be greatly different worldviews. (Shire, 2009) In other words, given the depth of invitation to step into dialogue (discourse) that we are asking of people, we should remember that our worldview could be much different than someone else’s within our community or local cultural context. And, that people we are working with that are from other local contexts may have differing worldviews within that shared construct. In thinking about our world today it is fair to say that, “The presence of a multitude of alternative worldviews is a defining characteristic of contemporary culture. Ours is, indeed, a multicultural, pluralistic age.” (Naugle, 2002) Thus, as we practice dialogue in our world in order to find ways forward, we must develop the capabilities to work in the multi-varied and rich system of many worldviews. To do so, however, requires skill and practice and the capacity to hold paradoxes or multiple truths all at the same time. Learning to effectively communicate (host/facilitate) in a different or new cultural milieu is a deep-level process. It involves connecting at more than an intellectual level with the ‘host’ culture. It involves connecting at a heart and spiritual level. If worldviews are a matter of the heart, then to enter into effective communications within a different or new culture means opening up one’s heart as a host/facilitator to a space/place that connects heart to heart. This involves capacities to be vulnerable, to respect difference, to be curious and to sit in the space of the unknown or unknowing (i.e. nonjudgment), and to be self reflexive regarding one’s own thoughts, reactions, and carried in thinking about another culture. It also involves recognizing the limiting role our language can play when hosting, which will help each of us as hosts to hold our own and invite others to hold their opinions about another’s worldview much more lightly. This is a core part of the artistry of hosting. Shire, J. (2009) The Universe Next Door: A Basic Worldview Catalog. Nottingham, UK: Inter-Varsity Press. Naugle, D. (2002) Worldview: The History of the Concept. Cambridge, UK: Wm. B. Eerdmans Publishing Co.